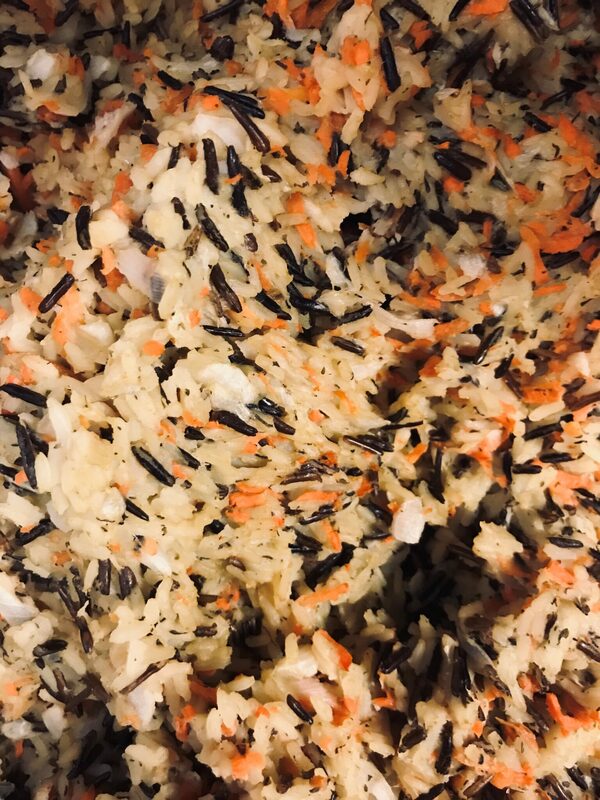 Our harvest wild rice pilaf brings all the warm feelings of the season together in one delicious dish. Packed with fragrant herbs and healthy vegetables, this recipe will quickly become a holiday favorite for you and your loved ones. Bring broth and 6 ounces of water, bay leaf and ½ teaspoon of thyme to a boil in medium pot. Add wild rice, cover and reduce heat to low. Let simmer until plump and tender, and has absorbed most of the liquid. About 35 to 45 minutes. Drain rice in strainer to remove excess liquid and remove bay leaf. Return rice to pan, cover and set aside. In large pan, melt butter and add onion, carrot and 1 teaspoon of salt and cook, stirring frequently until vegetables are softened but not browned. About 4 minutes. Add wild rice and coat in vegetable and butter mixture. Add remaining thyme and remaining water to mixture and bring to a boil. Reduce heat and let simmer until water is absorbed. About 16 minutes. Take off heat and fluff rice. Add parsley and season with salt and pepper. Enjoy!